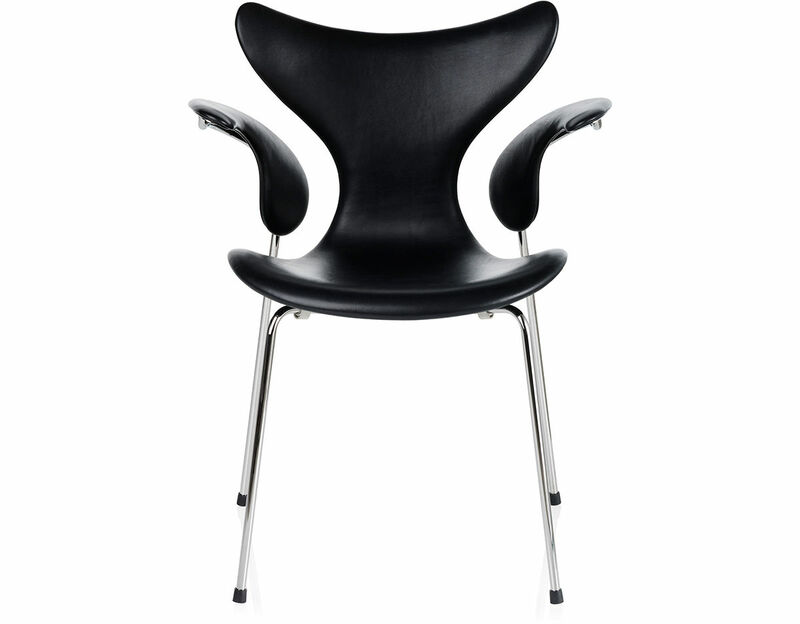 Arne Jacobsen's chair model 3208 was originally designed for the Danish central bank. 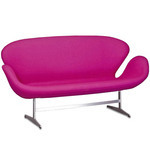 It is also referred to as the "Lily" and was first introduced at the Danish furniture fair in 1970. 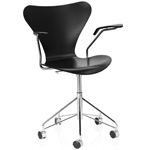 The chair is a result of an extremely complicated process that ensures the perfect curves and hence best comfort. 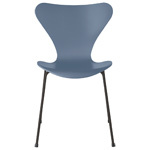 The Lily chair is available in two versions: with or without arms. 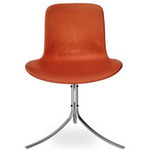 Both versions come fully upholstered in a wide range of fabrics and leathers. The shell and armrests are made of pressure molded sliced veneer and the base comes with 4 legs made of chromed steel tubes. 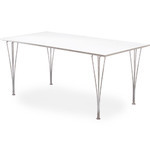 $2,885.00 + free shipping in the continental U.S.